Whether you've become the victim in an automobile accident or you are being held responsible for one, William H. Curtis Law Office can assist you. William H. Curtis Law Office gives affordable, competent and quality legal representation. Our accident lawyers also offer mediation services, as a different means to mitigate disputes. Curtis Law is available to protect your legal rights and guarantee you just compensation. In the case you have been injured in an automobile accident and aren't liable, you shouldn't have to pay for things that may include medical bills, missed work or recovering damaged property. After you experience a car accident, contact the proficient auto accident injury lawyers at William H. Curtis Law Office for the skilled experience needed. We serve Decatur, Georgia and nearby areas. If you have been injured in a car accident, you must have representation that will make sure your consideration is taken care of. We work for compensation for the victims of car accidents. We pay thousands and thousands of dollars to car insurance providers over many years of premiums, and when injuries come up we rely on our insurance providers to help us. Unfortunately, being awarded the compensation that is due to you can sometimes be a difficult task. If you have been in an accident, insurance providers have to be kept responsible for compensation. We think it's best that you sign on with an accident attorney as soon as you can so you can get the most out of your insurance coverage. If on the other hand, you've become accountable in the event of an automobile accident, it is vital that you end up with the most comprehensive legal representation possible. We strive to help you in the case of state charges of negligence and victim's civil suits. Our vision is to give comprehensive and professional legal representation for people who need it most. If you do have to reimburse for costs that are related to your automobile accident, bear in mind that you have to file with your insurance provider in the first month and must let the other driver know inside of 120 days. In the case you file a claim; you are allowed two years to file it. We can help take your case to court or can just help you in filing all the necessary paperwork by the due dates. Curtis Law provides complete services in Decatur, Atlanta and Cummings, Georgia. Legal issues can be overwhelming and confusing. Our experience and track record lets our clients know that they will get great representation in all of their proceedings. 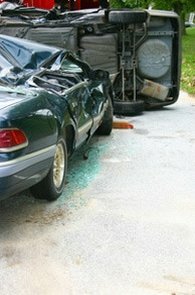 Call us at 800-427-1135 for quality and affordable representation from an auto accident attorney in Decatur, Georgia.